In the latest upgrade, HD Converter has upgraded with support of the latest encoding/decoding technology. For now, Aiseesoft is the only brand that supports this technology in the world. You can use this 4K converter to convert 4K video to 4K UHD/1080p HD/720p/480p, or convert video to 4K reversely. This HD Converter ensures you the fastest conversion speed and lossless quality when converting to 4K. 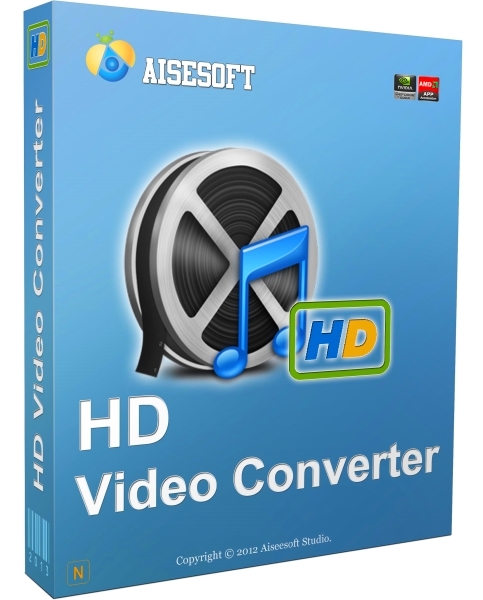 Aiseesoft HD Video Converter can convert HD videos from any source, including HD camcorder AVCHD (.mts/m2ts/.ts), MOD/TOD, MXF/P2 MXF and HD videos from YouTube and other online video websites, and H.264/H.265/AVC high definition videos. 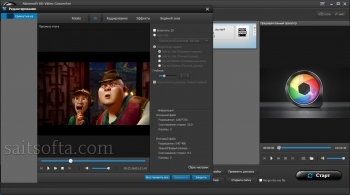 This HD converter converts them to general HD video formats, such as MP4, MOV, MKV, WMV, AVI and so on. So you can easily play them on your computers. HD videos from HD camcorders are always not compatible with popular video editing software, such as Sony Vegas, Adobe Premiere Pro, Windows Movie Maker, etc. This HD video converter can convert your High definition videos to the right video formats for video editing software without quality loss. So you can easily edit the videos and share with your friends easily. 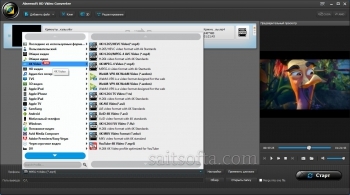 This software can easily convert your HD videos to your mobile devices. It provides users many optimized output profiles for popular devices, including iPhone 6 Plus, iPhone 6, iPhone 5s, iPhone 5, iPad mini, iPad 4, iPad Air, Samsung Galaxy S5/4/3, Galaxy Note Serial, HTC, MOTO, Sony and many other popular devices. Users can also adjust the settings of the profiles and name the profile and save for later use. Offering wider color gamut and greater bit depth, 4K videos show you much more details of the original images than 1080p full HD videos. So you will get totally different video experience when you watch 4K UHD videos and 1080p full HD. The common UHD video is 3840*2160, 2 times on both horizontal and vertical resolution of 1080p (1920*1080). The 4K video is actually DCI 4K which has a resolution of 4096*2160 with 1.9:1 aspect ratio while the UHD is 16:9. You can easily tell the differences between 4K UHD and 1080p Full HD when you watch them on UHDTVs. If you don't have any UHDTVs to play the 4K videos, you can use this HD converter to convert your 4K videos to lower resolution for common use. Without quality loss is the most important factor when you judge a HD video converter. 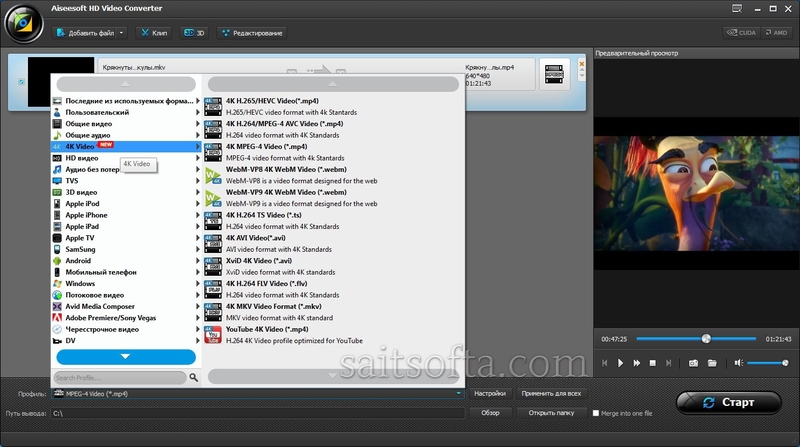 Aiseesoft HD Video Converter can keep the original video/audio quality after converting HD videos to other video formats. 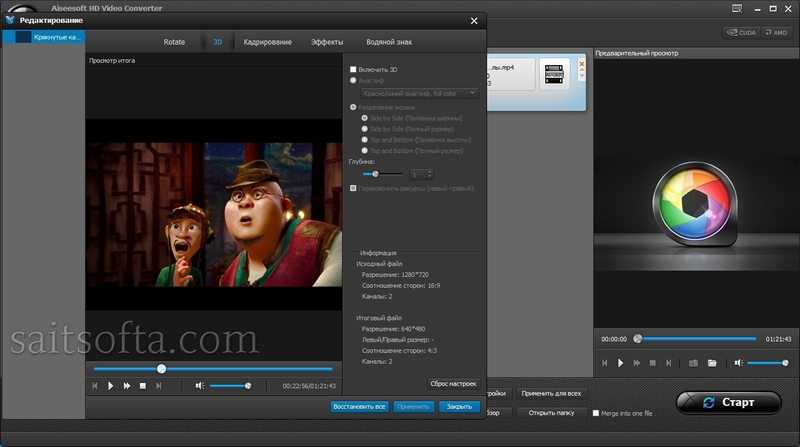 This great feature allows users to use their HD videos for other usages easily. For example, watch the HD videos from your camcorder on your iPhone/iPad with the same HD effect. With the advanced hardware acceleration technology with ATI and CUDA GPU, this HD converter can convert HD videos with 10X faster speed when you choose h.264 encoder in the output profiles. This will save you a lot of time and make HD conversion a more enjoyable process. Converting a HD video for hours will not happen again! It provides you with various video editing options. You can adjust the video Brightness, Contrast, Saturation, Hue and Volume, and improve the interlaced video effect. Trim function enables you to change the video length by setting the start and end time. You are able to crop videos - remove letterbox, pillarbox and windowbox from HD movies and select the zoom mode to define video aspect ratio. What's more, you can add any text/image watermark to your videos and set its position and transparency.